While Blandings Castle sleeps in the summer sun, the Hon. Galahad Threepwood, brother of the Earl of Emsworth, is busily engaged in writing his Reminiscences, and they look set to be as warm as the weather, if not warmer. For Galahad has led a thoroughly misspent life, and his acquaintances can all too easily recall their past follies in his company. 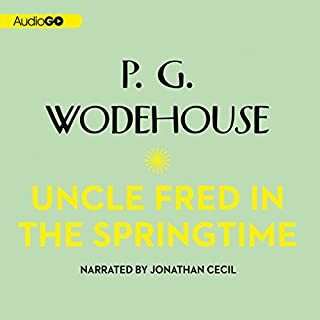 ©2011 The Trustees of the Wodehouse Estate (P)2014 Audible, Inc.
Well, this audiobook proves that a narrator can make or break a story. 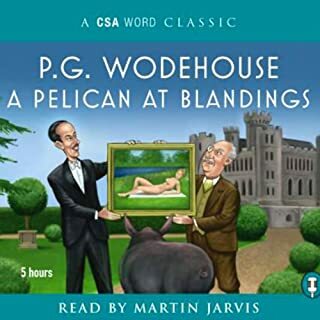 I am a big fan of Wodehouse and I feel like I would have enjoyed this novel, but now I can't even bring myself to read the book because I keep hearing the narrator's version, pedantic and difficult. Listening to this took more effort than it took for the narrator to read it. Another wacky Wodhouse story with a resourceful butler, bullying aunts, and clueless young blue bloods trying to marry. 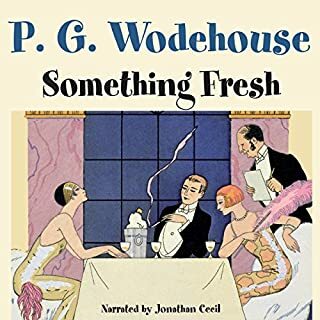 This narrator John Wells is a master of comedic voices, making me laugh out loud as much at his inflections, accents, and characterizations as at Wodehouse's witticisms and plot twists. Lots of fun. 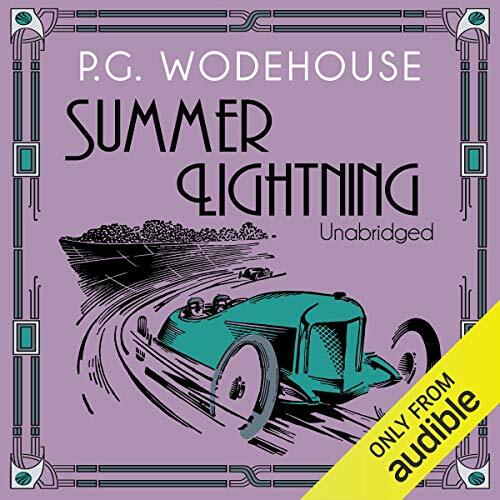 Lightning strikes again thanks to Wodehouse! Galahad's memoirs are the big threat and the big draw of this story. You need to get through the first few chapters where the characters are introduced to be able to fully enjoy the plot in full swing. Well worth the time at the front end for the marvelous pay off from the middle to the end. Story is your classic Wodehouse noblesse chikanry at its best - what makes this production rise above others is John Wells' peerless performance - double excellent and simply delicious! In an earlier review I described Jonathan Cecil as the best Wodehouse narrator, but John Wells is every bit as good in Summer Lightning, sadly the only one he has recorded, as far as I know. Every character is perfect and this is Wodehouse at his best, side-splitting. This Blandings Castle story is a sunlit delight from beginning to end. 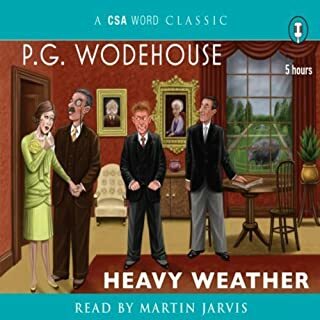 The narration is good but it is really the excellent writing of Wodehouse himself that is the star here. It is great to listen to on a warm Summer's day or in the depths of winter when you need to be cheered up. A complete tonic. Wodehouse's writing sometimes reminds me of a cappuccino. Underneath the froth of hysterical plot lines and playfully exaggerated characters lies a stiff shot of serious expresso. And in Summer Lightning there is real pathos and emotional depth. Brilliantly read by Wells, the characters come to life in 3-D, despite their stereotypical origins. 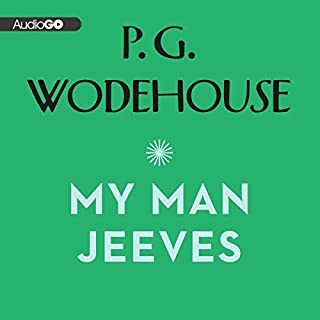 THE BEST WODEHOUSE BOOK! JOHN WELLS IS WONDERFUL! 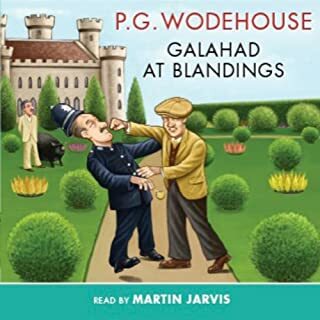 The best Wodehouse book after Leave It To Psmith and Right-Ho, Jeeves. John Wells is WONDERFUL! HE SHOULD READ ALL BLANDINGS BOOKS! Pgw is always a joy. This is an old favourite story and is very well read. Unmitigated joy! The narrator of this book is absolutely perfect for the characters and it was a joy to listen to. extremely funny! Shame about the baying hyenas and limp colourless gels, what?! Over the top, shame on you. If you like good English, an unpredictable story and comedy this is a book for you. Just brilliant!